Ontario Parks are home to some of the most stunning waterbodies in Canada. Park visitors flock year round to these provincial (and national) treasure to get outside and enjoy the waters. In 1997 at Wasaga Beach Provincial Ontario Parks established the PFD Lending in order to reduce the risk of drowning and injury at provincial parks. Keeping park visitors safe on the water is a long time priority for Ontario Parks. 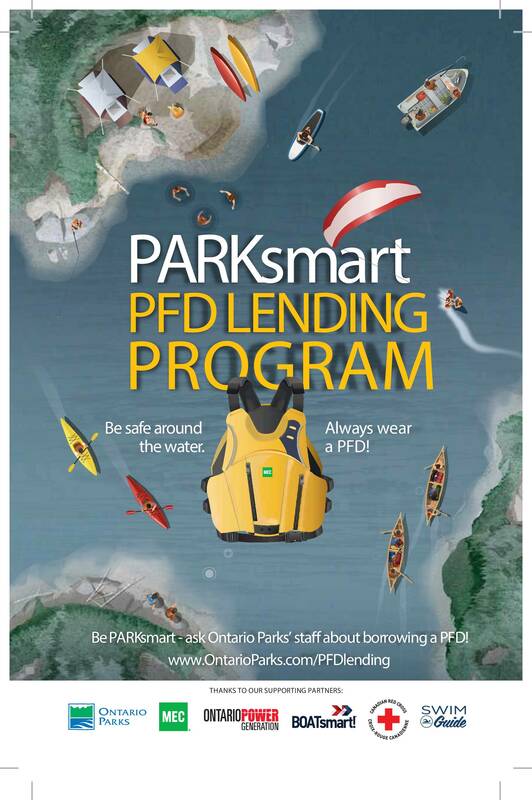 Ontario Parks’ PARKsmart PFD Lending Program encourages park visitors to practice safety when in and around water with the PARKsmart PFD Lending Program. A PFD (personal flotation device) can be borrowed for a small refundable deposit at more than 70 provincial parks, as a safeguard for you and your family when near water. Swim Guide is a supporter of safe swimming and recreational water activities. We are proud to partner with Ontario Parks on the PARKsmart PFD Lending Program this summer along with Mountain Equipment Co-op, Ontario Power Generation (OPG), BOATsmart, and The Canadian Red Cross.Swim Guide has been a partner on the program since 2014. When in a canoe or boat, it is required by law to wear a lifejacket or personal flotation device (PFD) in Ontario. Water safety is the responsibility of park goers, so be sure to ask an Ontario Park staff member to borrow a Lifejacket when visiting a provincial park. Ontario Parks encourages their visitors to be safe, have fun and wear always wear a PFD or Lifejacket. To promote water safety Ontario Parks sets nine important principles. This is to help prevent avoidable injuries or death. It takes just 20 seconds for a child to drown, and only one minute for an adult. Have children and non-swimmers wear a PFD when near the water. Always supervise children and non-swimmers. This means watching them every second they are in the water. And when water is rough or if there is an undertow STAY OUT of the water! Remember There are no lifeguards on our beaches. Parents, children are your responsibility. Offshore winds blow inflatables out into dangerous waters. Use inflatable rafts or toys in shallow water areas only. When wading into deeper water, why not swim in towards the shore? Learn how to swim and learn prevention, water survival and rescue skills. Never swim alone. Everyone should always swim with a buddy. Protect your neck. Never dive into shallow water from docks or shallow water. Be responsible. Avoid alcohol when involved in water related recreational activities. If you suspect a drowning or any other type of water emergency, call 911 and/or contact the Park Office immediately. Also remember to check if the water you are about to swim or paddle in is up to recreational water quality standards. Check out Provincial Park beach standards by visiting The Swim Guide website map, and see if the water is swimmable at your beach. The Swim Guide is available as an app for your smartphone. 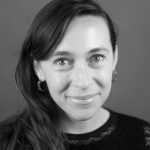 Secondary Contact : Can you get sick even if you aren’t swimming?